Sharp MX-B355W | The Miller Company, Inc. 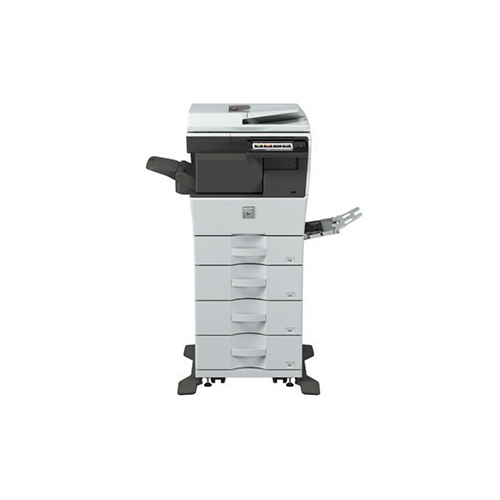 The Sharp Advanced Series desktop monochrome document systems deliver leading-edge integration and powerful productivity, all in a small, compact design. The MX-B355W and MX-B455W Advanced Series desktop monochrome document systems deliver crisp, high-quality output with exceptional ease of use. These new models provide customers with an intuitive user experience and the confidence of knowing their jobs will come out right the first time, every time. Designed with high-performance features typically found on larger machines, the compact MX-B355W and MX-B455W deliver the productivity you need with the performance and reliability you want.